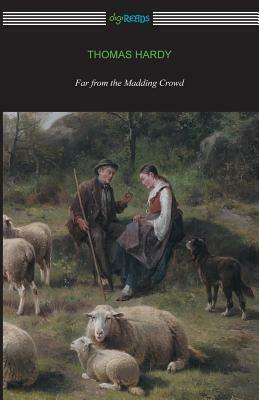 Thomas Hardy's fourth novel, "Far From the Madding Crowd," is a classic portrayal of 19th-century rural English life. It is the story of Gabriel Oak, a would-be shepherd, who falls for Bathsheba Everdene, a vain young woman, who comes to live with her aunt and uncle in the country. A set of unfortunate circumstances brings Gabriel into the employment of Bathsheba, an awkward situation given that she has already refused his offer of marriage. Bathsheba has no shortage of suitors. Amongst them include William Boldwood, a wealthy middle-aged farmer, whose affection she toys with, and Sergeant Francis Troy, a dashing young soldier whom she eventually marries. She soon learns that Francis is a thoughtless gambler with little interest in farming and likely does not really love her. The struggles of the heart are brilliantly depicted in this masterpiece of romantic literature as Bathsheba wrestles with the quest for true love versus the choice of a compatible match. A tragic tale of love, "Far From the Madding Crowd" is one of the greatest romantic novels ever written, rich with the emotion and pathos that is characteristic of Thomas Hardy's work.